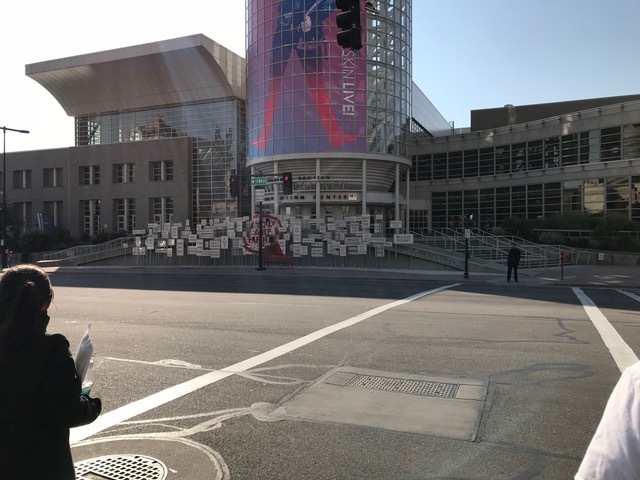 On a recent, very informative, training trip to Salt Lake City I was out doing a walk and passed by the convention center. 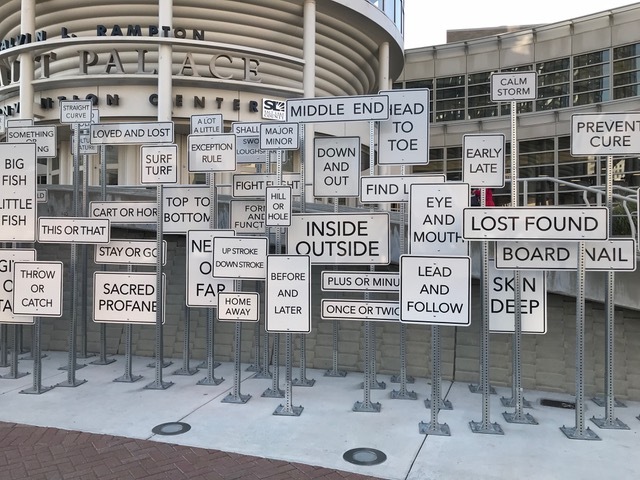 And, out front was an artistic installation constructed of multiple signs with various “antonymic” pairings: Middle-End, Lost-Found, Prevent-Cure, etc. Obviously this could be observed and appreciated from any of a number of perspectives, but my first thoughts were those relating to Yin-Yang and how these are viewed by most individuals. The previous blog entry concerned, and provided, a very brief introduction to the concept of the Five Phases. With this blog I would like to do the same, but consider Yin-Yang. If you are not familiar with the previous content I would like to repeat a brief portion of the introduction to that topic, if I may. 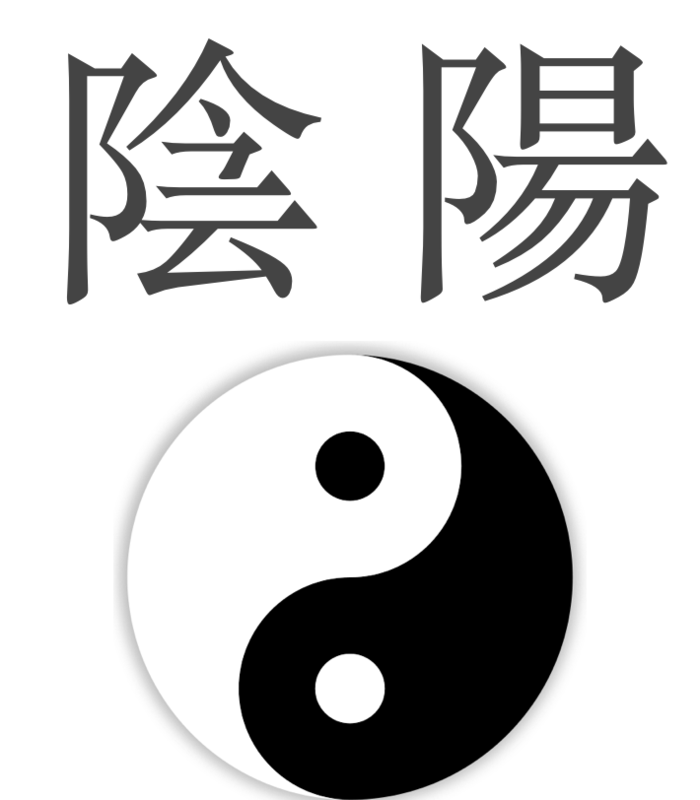 Yin-Yang, along with the Five Phases, forms the foundations for understanding and communicating within Chinese Philosophy and Medicine. They provide the linguistic bases for these and other areas. Unfortunately, akin to learning a language, initial understanding and usage can be difficult and trying. As a result many people stop short in their study of this foundation. Both Yin-Yang and the Five Phases were early approaches to understand nature, it’s on going processes and mankind’s place within nature. Yin-Yang looks at, and assess, complementary natures and qualities which arise from comparisons. As a result, Yin-Yang is not exactly a static pairing, but a dynamic interaction. Specifically, the interaction is what is of importance and not the identified Yin-Yang pairs themselves. 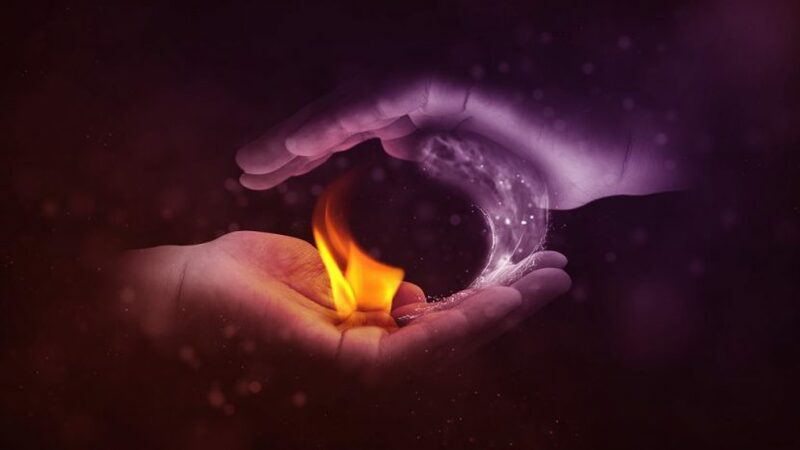 Unfortunately, these pairs are the understanding most individuals have of Yin-Yang, even those who are supposed to be in the “know” about such things. Simple Question– When asked what Yin-Yang is the typical response is an antonymic pairing response: Hot-Cold, Light-Dark, Hard-Soft, etc. Unfortunately like the signs these are only examples. They do not tell what Yin-Yang is. Simple Answer– Yin-Yang is the result of a comparison. So, where using examples is fine, the examples are always relative to one another, they do not provide a definition of what Yin-Yang is. You may have noticed I use the term “is” when talking about Yin-Yang in lieu of “are”. We will talk further about this momentarily, but it is because we are referring to a singular relative pairing which only has its existence through a comparison. This is in contrast to a listing of coupled distinct items or concepts. In order for any Yin-Yang assessment to be appropriate it must meet all of these criteria. As a result not everything can be grouped into a Yin-Yang comparison. One of the most familiar Yin-Yang representations, which has become trivialized and its meanings unfortunately hollowed out is the Taiji Tu, or Taiji symbol. All of the above tenets are encoded in this diagram. 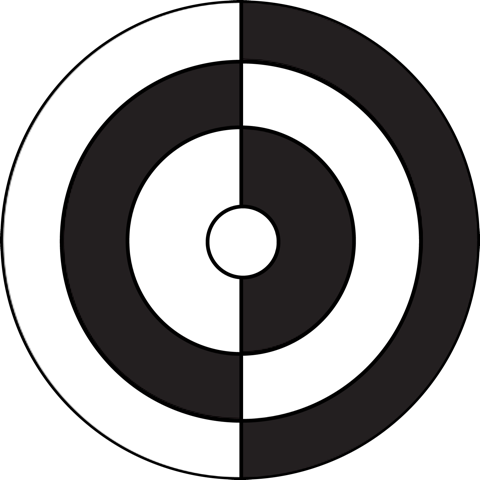 In our practice we recognize the value and importance of Yin-Yang through the inclusion of its older form (adjacent diagram) into our practice insignia. This form incorporates all of the tenets and aspects of the more familiar Taiji Tu symbol as well the principles of the Bagua and Zhou Yi (Yijing Book of changes). As with the Five Phases, we are working on a more extensive, instructional construct on Yin-Yang which can be made available in the future. Please contact usto express your interest in a more detailed presentation.